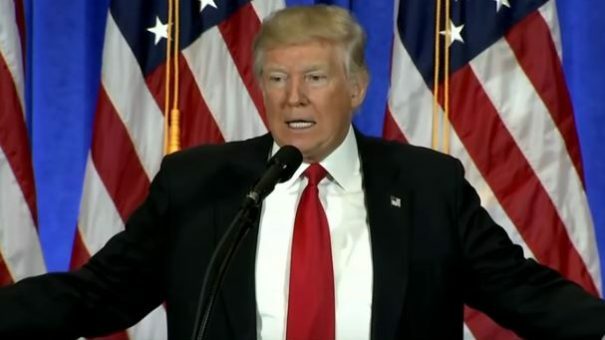 Donald Trump’s first press conference of the year may have been farcical at times, as he fought off salacious allegations about his links with Russia, but the president-elect’s attack on drug prices was enough to send pharma and biotech stocks down. Trump said pharma companies were “getting away with murder” with drug pricing, and pledged to introduce strong measures to cut costs. The Nasdaq Biotechnology Index fell 3% on the news, while Standard and Poor’s index of the top 500 biotech, pharma and life sciences firms fell 1.7%. Trump was giving his first press conference of the year, at Trump Tower in New York, ahead of his swearing-in ceremony on 20 January. There is free pricing in the US, and state-run Medicare, the biggest purchaser of drugs and health services in the country, is prevented by law from trying to bargain with pharma companies over prices. Trump has aligned himself with the opposition Democrat party by tackling drug pricing and the Senate will next week vote on an amendment to the 2017 budget backing the government’s ability to negotiate on behalf of Medicare. The amendment from Democrat Senator Amy Klobuchar is designed to see how Senators stand on the issue. Meanwhile, left-wing Vermont Democrat Senator, Bernie Sanders, has tabled an amendment that could let pharmacists and distributors import cheaper drugs from other countries and sell them on. US pharma industry lobby group PhRMA hasn’t responded in full to Trump’s renewed pledge, but did tweet shortly after about the dangers of making price negotiations public.